Are you looking to develop a commercial, industrial or mixed-use project in San Gabriel? Then you’ve come to the right place. This page will guide you step-by-step from initial inquiry to successful entitlement of your project. We appreciate your investment in the City of San Gabriel and strive to make the entitlement process as quick and streamlined as possible. Whether you already control a property or are just beginning your due diligence, your first priority should be to contact one of our helpful professionals in the Planning Division. 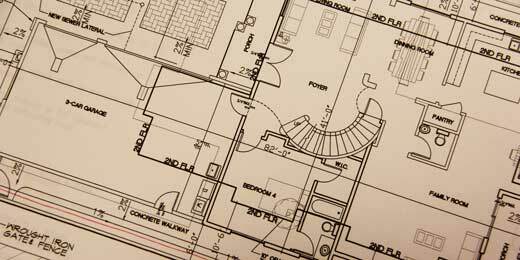 On this initial contact, one of our trained and experienced planners can provide you with the basics about zoning, development and design standards, permitted uses, and any special permits your proposed project may require. The more information you provide, such as property address, lot size, and type of proposed development, the easier it will be for us to provide you with specific information you can begin put to work for you. Once you have a specific site and type of development in mind, we can begin the first step towards developing it by completing a Preliminary Review Application checklist. Filling out this form provides us with important details about your project that we can share with other City departments and divisions who will be reviewing your project. It also allows us the schedule you for an initial consultation with our Project Review Committee (PRC). The PRC is made up of representatives from all the City departments that review new development. During the initial consultation, you will have an opportunity to present your proposal and receive valuable feedback from the PRC. Also, at this meeting, staff will guide you step by step through the Development Application checklist, which lets you know up front all of the plans, studies, exhibits and fees you’ll need to make a complete application to the City. When you have assembled all of the required items, simply bring them and your application form to the Community Development counter at City Hall. We’ll take it from there, routing your plans to our other departments and divisions for a thorough review. Within 30 days of your submittal, will let you know if your plans require revision or if your application is deemed complete and is ready to move on to the next step. The whole process will be coordinated by the planner assigned to your project. He or she will be your project manager and will be your point of contact all the way until your new development opens its doors. Depending on the type of development and its location, your project will likely require approval by the Planning Commission and/or the Design Review Commission. Prior to taking the project to a Commission, California law requires the City do an environmental review of the project. Depending on the scale and complexity of the project, this could range from a “categorical exemption” requiring no further action to an “environmental impact report (EIR)” taking approximately a year to complete. The likely level of environmental review required can usually be determined at the PRC stage. The City of San Gabriel highly values an open and transparent entitlement process and requires proactive community outreach on larger, more complex projects. Your project manager can explain your responsibilities and what the expectations for community outreach are. We have found that the most successful projects think of community outreach as a process rather than a one-time event. After the environmental review and community outreach process for your project are complete, it’s time for Commission action. Your project manager will prepare and present a staff report and recommendation to the Commission reviewing your project. All Planning Commission and Design Review Commission meetings are open to the public, but only the Planning Commission holds noticed public hearings requiring notification of surrounding property owners. The night of the meeting, the Commission will hear staff’s presentation and you will also have an opportunity to present your project and answer questions. Next, the Commission will hear from any members of the public who wish to speak for or against the project. Following discussion and deliberation, the Commission will render its decision. Most projects get a definitive decision in one meeting, although occasionally a project will be continued to allow for revisions to be made before coming back for a final vote. All decisions of the Planning Commission and Design Review Commission may be appealed to the City Council within ten business days. With your project successfully entitled, the personalized attention does not end there. You may now move to submittal of construction drawings for plan check and your project manager will stay on top of that process as it progresses. This process is coordinated by the Building Division, but also involves plan reviews by the Planning and Engineering Divisions and the Fire Department. Once all corrections identified in plan check have been made, permits will be issued to start construction. During construction, your project manager will continue to monitor progress and be there to help resolve any issues that might come up. Our job isn’t done until your project receives final sign-offs and is ready to open for business. So there you have it. We hope that you will find the process for developing a commercial, industrial or mixed-use project in San Gabriel to be relatively fast, fair and friendly. After all, you’ve decided to make a significant investment in our community. We pledge to invest our time and effort to make it a successful one.